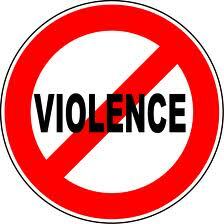 The issue of violence goes far beyond the Newtown Connecticut incident, of course, and its ubiquity, on the streets as well as in the schools, is what has moved Obama to finally act. One can speculate about why violence in the United States, here represented by assaults using guns, is so widespread. Certainly, there is a cultural aspect to it. Back in 1893 Frederick Jackson Turner wrote a famous essay about the “closing of the American frontier.” He commented that having been a frontier society since the first settlers arrived from Europe, a frontier mentality became a seminal aspect of the American character. Though Turner tied this culturally embedded mentality to the impulse for both personal liberty and national territorial expansion, there is another aspect of the frontier that may well be its most lasting contribution to U.S, culture. Historically what is life on a frontier like? It is usually unsettled, without the secure rule of law. In the case of the United State, the frontier was a semi-militarized place with an enemy just over the horizon, violence common, and guns for just about every settler. Out of this environment grew the perverse ideal of power and freedom embodied in the “rugged individual” who uses force (coming literally out of the barrel of a gun) to tame an “uncivilized” world and thereby obtain what he needs and protect what he has. That heritage might partly explain why, out of a population (as of 2011) of 311,591,91, there are an estimated 270,000,000 firearms in the hands of the civilian population. Gun culture was an integral part of the frontier culture and is still, for many Americans, symbolic of their personal liberty. But in the end the gun is only a device through which to wield power and it is power that Americans aspire to above all. It is their “manifest destiny.” Too many Americans see themselves as exceptional: blessed by God, expert practitioners of free enterprise, and the people who really know what freedom and rights are all about. And, in the process of using power to demonstrate this exceptional status, both as individuals and as a nation, they consistently make a bloody mess. Here in the United States guns kill about 17,000 people a year, of which about 3000 are children. That is horrid enough, but the real picture is actually much worse. The domestic death toll caused by America’s civilian propensity to act out moments of power through violence is but a pittance compared to the carnage the U.S. produces through the projection of military and other forms of force abroad. Using guns, mechanized weapons, and chemical agents in Vietnam the United States demonstrated its power and managed to kill anywhere between 500,000 to 2 million civilians. It is not possible to know how many of these were children, but the number must run at least into the tens of thousands. In Iraq, the U.S. developed a new official weapon that has proved particularly fatal to children. This is the weapon of sanctions. Such sanctions demonstrate that the U.S. has the power to manipulate most of the world’s economy to the detriment of it’s enemies. In the case of Iraq, sanctions functioned as a sort of economic Agent Orange. They defoliated that country’s societal infrastructure over a thirteen year period. Sanctions were Imposed in 1990 as a consequence of the Iraqi invasion of Kuwait and maintained after the conclusion of the First Gulf War. As a consequence of these sanctions, important medicines, vital repair parts for water purification and sewage systems and other necessary items were not allowed to be imported into Iraq. The deaths of some 350,000 Iraqi children (the low end estimated number), most under five years of age, can be directly or indirectly tied to this sanctions regime. The sanctions were only removed in 2003 when the U.S. invaded the country. Then came the weapons-related deaths as a result of the Second Gulf War (2003 to 2011) launched on false pretenses by the Bush Jr. administration. Realistic estimates range from 600,000 to one million additional Iraqi deaths (adults and children) in this stage of operations. Now there are reports that Washington is once more, through the weapon of sanctions, creating the conditions for the deaths of the young and vulnerable. This time the target is Iran. According to Trita Parsi, President of the National Iranian American Council, U.S. sanctions are starting to impact the health of innocent Iranian citizens. Iran’s ability to purchase some medicines and hospital equipment has been impaired by U.S. sanctions and people have already died as a result. Why is Menendez and his fellows in Congress doing this? Because of some alleged Iranian nuclear weapons program? No. The Iran sanctions, growing slowly in intensity, predate that concern. Since the fall of the Shah in 1979 Washington has conceived of Iran as an enemy and therefore a legitimate target against which to demonstrate our power. It is reasonable to assume that Menendez knows what such policies means in human terms. But, like former Secretary of State Madeleine Albright referring to the disastrous consequences of the Iraq sanctions, he seems to believe that the horror of it all is worth it. Many Americans are dismayed, as they surely should be, by the domestic massacres of their children. These are the deaths closest to home and the ones they are forced to face up to due to media attention. They are also confused about what to do because, for so many, guns and freedom are synonymous. 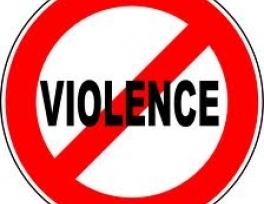 All the other instances of violence: the nightly murders in poor districts of cities and towns across the nation, the piled up bodies of adults and children in places like Vietnam and Iraq, are largely hidden from the citizenry. And certainly the consequences for the average of citizen of Iran of the U.S. government acting out in a powerful way, will be kept remote enough so as to avoid all empathy. Whether Americans are paying attention or not, their government, their elected officials, continue to make sure that the U.S. remains out and about across the globe, projecting the nation’s power via guns and sanctions, and thereby helping to lower the world’s burgeoning population in the most negative of all possible ways. The politicians who initiate these murderous policies may hardly know, in any fully analyzed way, why they do so. But they know it feels culturally comfortable to persist. They have their superficial ideological conviction that there must be an evil enemy to fight and, in juxtaposition to that enemy, they are always the good guys. Many also have the simplistic notion that gun ownership is as vital to the individual citizen’s freedom as military power is to the nation’s liberty. Just as the individual American believes he owns that semi-automatic rifle to protect home and hearth, so his national leaders cherish (and overfund) the national arsenal. They have power and they will use it. They believe, probably sincerely, that they are still on the frontier protecting their homestead from the uncivilized.